Police are investigating after more than a dozen swastikas were found early Monday painted across a San Francisco park. Robert Handa reports. 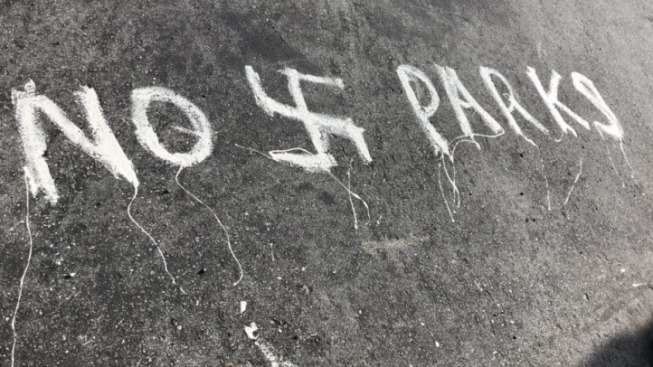 Police are investigating after more than a dozen swastikas were found early Monday painted across a San Francisco park. The incident at Buena Vista Park was first reported at 8:41 a.m., when the San Francisco Recreation and Park Department received a call from police reporting the vandalism. Park staff responded within minutes to clean up approximately 13 swastikas and two park rangers have been stationed onsite, officials said. "SF Rec and Park will never allow anything like this to stand," said Madison Sink, park department spokesperson. "Our parks are places of peace and respite, and vile symbols of antisemitism and hate have no place there – or anywhere in civilized society."